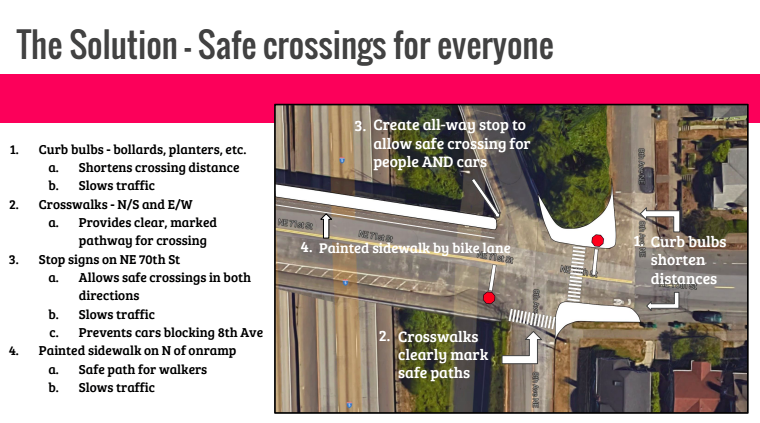 Two dads from NE Seattle Greenways have joined forces to make crossing I-5 safer for all (the SNG 2016 Priority for District 4). Andres Salomon and Scott Cooper were awarded Northeast District Council support during the Neighborhood Park & Street Fund process in 2016. 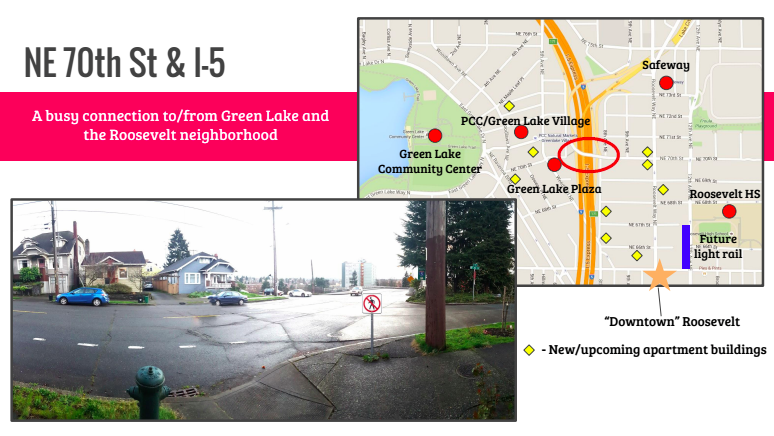 Andres and Scott know crossing i-5 is important for people of all ages walking to and from Green Lake Elementary, grocery stores, senior housing, Roosevelt High School, local business districts, and many other other important community assets. Andres and Scott know these community connections will become even more important when light rail opens in Roosevelt in 2021. 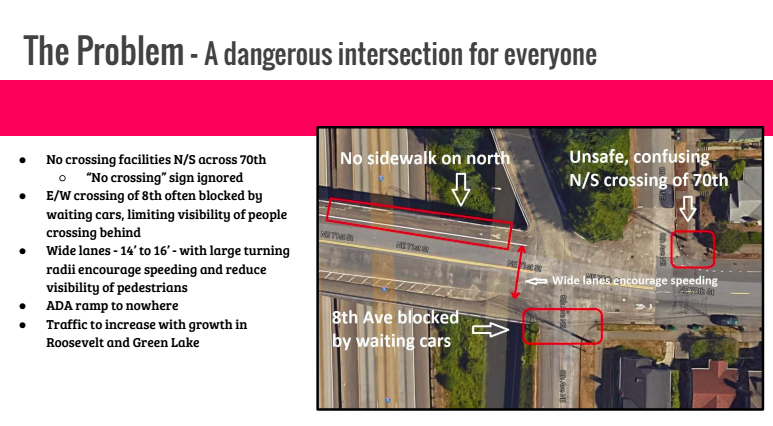 In addition to support from NE District Council, Andres and Scott have successfully lobbied WSDOT and SDOT to consider safety improvements over and under I-5 that use paint and posts to control traffic speeds. Find more details of their ideas here.